Many extremists seem to be rejuvenated by serving time — including this list of just-released radical luminaries, including David Duke and Wallace Weicherding. The fiery passions harbored by leaders of the radical right don't usually cool off when they land in prison. "If they had the belief before they went," says Tony Delgado of the Ohio Department of Rehabilitation and Corrections, "there's a good chance they're going to have it when they get out." In fact, the racial tensions and gang wars endemic to life behind bars often just fuel the fire. Rather than being rehabilitated, many extremists only seem to be rejuvenated by their prison experience. 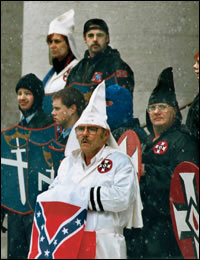 Take Don Black, a former Ku Klux Klan cohort of David Duke's. Locked up in the 1980s for plotting to invade the small Caribbean island of Dominica and turn it into a "white state," Black used his incarceration to learn computer skills. He emerged in the 1990s to create Stormfront, the "granddaddy" of racist sites on the Web, and become an even more significant figure in the hate movement. In 2003 and 2004, several well-known extremist leaders — including the best known of them all, Duke — were released from prison. Whether all these ex-cons will seek to re-establish themselves in the hate movement is uncertain, though a couple of them have already begun their comebacks. But if they choose to rejoin the world of organized extremism, these men will have little problem picking up where they left off. Hate groups rarely hesitate to welcome racist avatars back into the fold — even those who've ratted out fellow extremists or gone to prison, like David Duke, for ripping off their comrades. Following are brief profiles of six extremist leaders recently released from prison — along with another one, Frazier Glenn Miller, who had been out for years before he began a surprising resurrection of his racist career in 2004. When America's most famous neo-Nazi pleaded guilty in 2003 to charges that included defrauding his own supporters, he was dispatched to a medium-security facility in Texas, bunking in an open space with 72 other prisoners, many of them Hispanic and African-American. "They weren't that thrilled to see me," Duke told the New Orleans Times-Picayune. But when Duke went free this past May, the movers and shakers of the white supremacist world were thrilled indeed. Duke was welcomed back with a well-attended racist unity conference in Louisiana, co-sponsored by Duke's own hate group, the European-American Unity and Rights Organization (EURO), along with several other hate groups including the neo-Nazi National Alliance, the white-supremacist Council of Conservative Citizens and the Holocaust-denying Barnes Review. Several white-supremacist leaders signed Duke's "New Orleans Protocol," a set of principles "pledging adherents to a pan-European outlook" — and, ironically enough, to "honorable and ethical behavior." An estimated 67,000 racists logged onto EURO's Web site for a simulcast of the main festivities. While Duke works on a new book tentatively titled For Love of My People, speculation is rampant about whether he will step into a more exalted leadership position in the hate movement — or perhaps make another run at public office. The ex-Klan grand wizard was elected to one term as a Louisiana state representative in the late 1980s, but lost bids for governor, U.S.. senator and president. "Of course I'm contemplating a return to public office," he told the Times-Picayune. 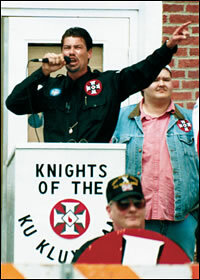 Once grand dragon of the Knights of the Ku Klux Klan in Illinois, 42-year-old Dennis McGiffen quit the KKK because he found it "too wimpy" and started a racist gang with seriously violent aims. Patterned after The Order, a band of underground revolutionaries that murdered a Jewish radio host in 1984 and robbed armored cars to the tune of $4 million, McGiffen's New Order planned bold acts — assassinations, bombings, even poisoning a public water supply — which would again be financed by bank robberies and armored-car heists. Investigators found a hit list including filmmaker Steven Spielberg, Federal Reserve Chairman Alan Greenspan, and Southern Poverty Law Center co-founder Morris Dees. The New Order didn't get nearly as far as the old Order; its plans were foiled when a government informant told authorities the group was stockpiling automatic weapons, even a "light anti-tank rocket system," to ignite a race war against blacks and Jews. McGiffen claimed that his murderous plans were nothing more than drunken ramblings he never intended to carry out. "If getting drunk and running your mouth can get you guilty of conspiracy," he told the judge, "it's a sad day for America." But in September 1998, he pleaded guilty to weapons charges. This past July, after serving almost six years in prison, the 42-year-old McGiffen was let out on parole. Twenty-two-year-old Joshua Caleb Sutter and his Aryan Nations mentor, August Kreis, have been called the "dumb and dumber" of the neo-Nazi movement by a local newspaper editor. Sutter, who held the curious title "minister for Islamic liaison," sat on the "high council" of Kreis' Aryan Nations faction until he was arrested last February for illegally purchasing an unmarked pistol from an undercover agent in a Philadelphia parking lot. 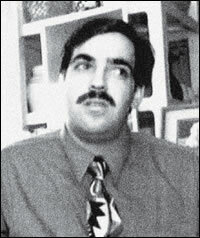 Sutter drew the FBI's attention by trying to form alliances with anti-American Islamist groups after the Sept. 11 terrorist attacks, posting a "message of solidarity and support" to Saddam Hussein on the Aryan Nations Web site, and expressing his hope that "the evil regime of the United States ... shall be utterly wiped off the face of the earth." Sutter told a reporter he was in contact with Islamic extremists "by phone and Internet, because it's difficult to get to places like Iran." As this issue went to press, Sutter, who has boasted that he "cannot be broken by any institution," was scheduled for release from a Georgia federal prison on Nov. 9. One of the first white supremacists to use paramilitary tactics with his North Carolina-based hate group — the Carolina Knights of the Ku Klux Klan, which later morphed into the White Patriot Party — Glenn Miller went on the lam in 1986 after mailing a letter to 5,000 people calling for "total war" against the feds, blacks and Jews. Miller had also violated a court order, stemming from a lawsuit filed by the Southern Poverty Law Center, prohibiting him from continuing to operate a paramilitary organization. After a nationwide manhunt, authorities tear-gassed him out of a mobile home in Ozark, Mo. But Miller served only three years in prison, largely because he testified against 14 leading white supremacists in a 1988 Arkansas sedition trial. Among other things, Miller told the court that the late Order founder Robert Mathews had given him $200,000 in stolen money to finance the White Patriot Party. Upon his release, Miller laid low for a while, driving a truck and writing his autobiography, A White Man Speaks Out. 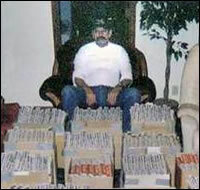 But by early 2002, settled in Aurora, Mo., Miller had retired from trucking to pursue his interest in publishing and distributing racist literature. This past February, he announced he would be putting out a new four-page racist tabloid. "Since my prison release, I've worked for the Cause in the most effective way I know how," Miller wrote on the neo-Nazi Vanguard News Network (VNN), where he vowed to "unite, organize, educate, recruit" against the Jews until "death or victory." Reaction in the movement has been mixed, with VNN honcho Alex Linder supporting Miller, while others posted Miller's photo with a stark message to unsuspecting white supremacists: "Warning: Federal Informant, White Race Traitor." Hailed by one of his followers as "sane, sober, [and] sensible," young militia leader Donald Beauregard came to public attention in 1995, when members of his 77th Regiment Militia in Pinellas County, Fla., announced they had found the holy grail of America's antigovernment movement: a United Nations takeover map of the U.S., printed by mistake on a box of Trix cereal. A year later, during the Montana Freemen standoff, Beauregard's 77th Regiment distributed a document called "Project Worst Nightmare," detailing guerilla action against the u.s. government if the siege came to a violent end. Even though the standoff ended peacefully, Beauregard continued to pursue his "nightmare." In 1997, he became regional commander and brigadier general of the Southeastern States Alliance (SSA), a coalition of militia groups in eight Southern states. Beauregard spearheaded a plan to steal explosives, electric transformers and weapons from National Guard armories. The loot would be used to blow up key power lines and power stations, along with the nuclear power plant in Crystal River, Fla. The plans were foiled by Richard Ganey, a Florida policeman who went undercover with Beauregard's militia. After a lengthy federal investigation, Beauregard, now 36, was sentenced in 2000 to serve five years for conspiracy to commit an offense against the United States. This past April, he was released to a halfway house for three years of supervised release. His sentence was reduced after Beauregard told authorities that his former roommate, 43-year-old James Diver, had "figured out" how to blow up Buford Dam, northeast of Atlanta, to aid the SSA's plans. Diver emerged from prison in 2003. The oldest member of the New Order (see Dennis McGiffen, above), Wallace Weicherding first made news in 1993 when he was fired as a sergeant in the Illinois Department of Corrections after going on local television to promote a Ku Klux Klan rally held on his property. Weicherding, a former great titan of the Illinois branch of the Knights of the Ku Klux Klan, sued the correctional system for violating his First Amendment rights and lost. Five years later, in August 1998, he was convicted on charges including conspiracy to possess and make illegal firearms and destructive devices, and possession of a machine gun. Weicherding had traveled at least once to Montgomery, Ala., to case the Southern Poverty Law Center for bombing; another time, metal detectors foiled a gun-toting Weicherding's plans to confront the SPLC's Morris Dees during a speech at Southern Illinois University. A government informant reported Weicherding had been New Order honcho Dennis McGiffen's "right-hand man," and the two men had similar defense strategies, claiming their violent plans were nothing more than drunken "macho talk" designed to impress other members of the group. "I just wanted to be wanted," he testified, adding that he was an alcoholic and didn't remember "crazy" New Order conversations. Now 70, he was released from prison in July 2003. Authorities caught Todd Vanbiber just in time. In April 1997, Vanbiber, a member of the neo-Nazi National Alliance, was planning to detonate 14 pipe bombs on major routes in Orlando, Fla. The explosives were designed to divert attention from two bank robberies Vanbiber and his comrades were planning in Orlando. 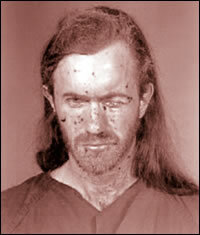 But as Vanbiber was tinkering in his storage shed with the bombs, one exploded in his face. When police responded, Vanbiber was arrested on explosive charges. 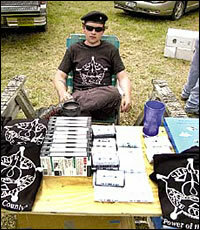 Vanbiber initially claimed the bomb-making was merely a hobby, but he later pleaded guilty. Sentenced to more than 60 years, Vanbiber drastically reduced his prison time by testifying against his accomplices, including another National Alliance member, Brian Donald Pickett, a security guard who'd committed robberies with Vanbiber before. After one of the earlier robberies, Vanbiber told authorities that he and Pickett stopped at the National Alliance headquarters in West Virginia, purchased $700 worth of books, and donated $1,000 to the organization. Since his release in March 2002, Vanbiber has regularly offered advice on stocks and other topics on the neo-Nazi VNN Forum. Commenting on the schoolhouse terrorism in Russia in September, Vanbiber made it clear that his neo-Nazi ardor has not dissipated: "At least now people are hip to muslim terrorism and will start to target muslims no matter what side they are on. .... They need to be killed. All of them. After that the jew will have no one to blame and we can start on them."